Guangzhou’s self-driving taxi service has been shut down before it could even take to the streets at University Town in the city’s Panyu District, according to Nanfang Daily. The service, launched by Guangzhou Public Transportation Group and tech company WeRide.ai, was nowhere to be seen in the days following its official announcement on November 1. Although the ride service was due to get underway the following day, on November 2, Nanfang Daily reported that the hi-tech taxis could not be found at University Town from November 2-4. It turns out that the self-driving taxi operation was never approved by Panyu Traffic Police, according to New Express, and authorities were forced to step in and shut down the project. It is currently unclear whether the service will be allowed to return at some point in the future. New Express expanded upon the various legal mishaps that the self-driving taxi service went through before its debut. According to that report, Guangzhou Public Transportation Group applied for permission to trial their service prior to the launch of the self-driving taxi service but were refused by local authorities. In this case, because Guangzhou Public Transportation Group were inviting the public to use the service, Panyu Traffic Police deemed it too risky to have on University Town roads. The police also stated that, because it is a trial service, rides should be free of charge. This is a major setback for WeRide.ai, who had previously stated their desire to have 500 taxis on the road in 2019. 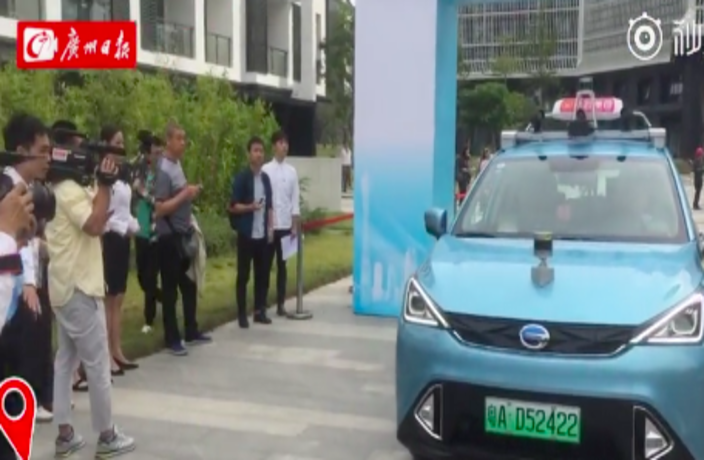 As we reported earlier this week, Guangzhou’s University Town was to be the site of China's first-ever driverless taxi service, which was to operate on campus roads from 2-4pm daily. In total three taxis were allotted to shuttle passengers within University Town, with Guangzhou Public Transportation Group stating that they planned to expand the area within which the taxis could operate in the future. Guangzhou’s most anti-climactic tourist destination finally has something cool to talk about, China’s longest zip line.